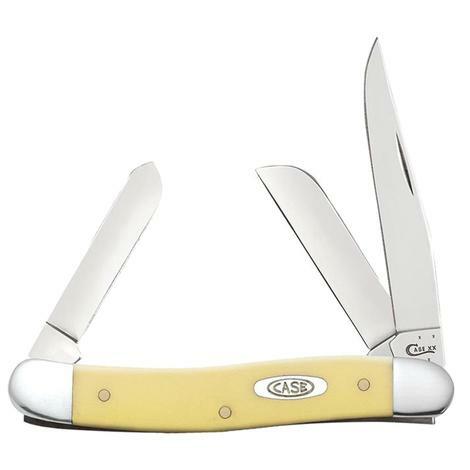 This medium stockman knife is a member of the Case yellow synthetic family. 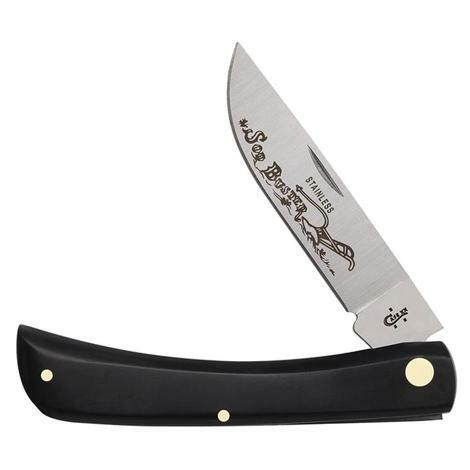 The stockman knife packs three blades into a well suited, practical pocket knife. 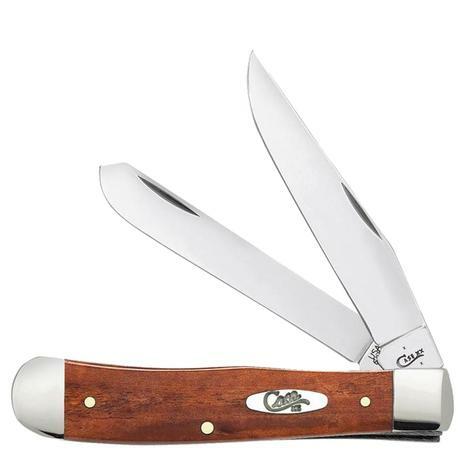 In addition to the clip and spey blades, the stockman includes the sheepfoot blade which is ideal for carpentry and carving work This knife is constructed with Case's True-Sharp™ stainless steel blades. Smaller than the traditional Sod Buster, the Case Sod Buster Jr. ® still boasts toughness and durability. 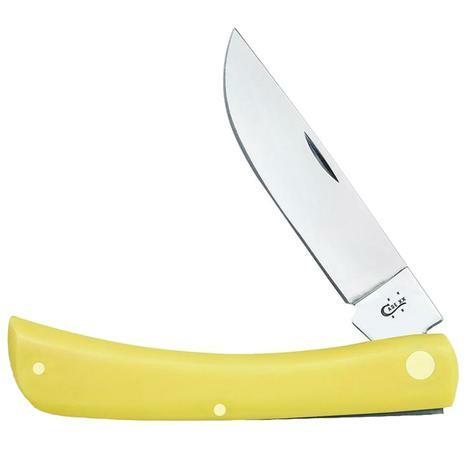 This knife comes with a skinner blade that is not only ideal for skinning, but very useful for everyday demands. The stainless steel blade offers extraordinary strength and corrosion resistance. 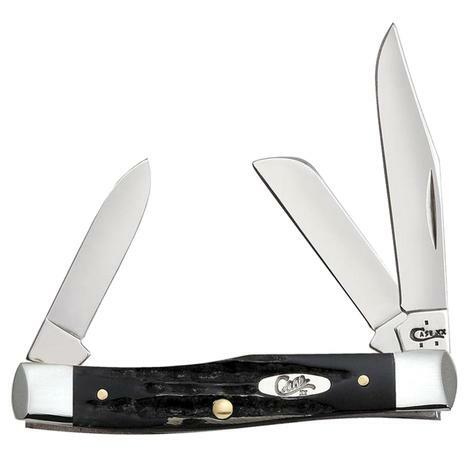 The Case Medium Stockman Buffalohorn Folding Knife is a convenient but very practical pocket knife. The Clip blade is commonly used as a multi-purpose blade and preferred for detail work. The Sheepfoot blade allows for added strength and great for carving and achieving a clean cut. The Pen blade is great for light work. 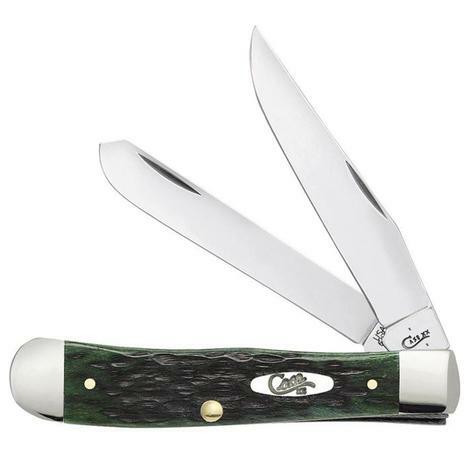 This Case Trapper knife is a light-weight knife with clip and spey blades for multiple uses. The handle is made of natural buffalo horn making it a material of choice for knives. The blades are made of a special high-carbon steel that helps each blade hold a sharp edge longer than conventional steel. It also offers extraordinary blade strength and corrosion resistance. The Case Trapper Chestnut knife is known for its basic trapping and skinning blade. The Clip blade is commonly used as a multi-purpose blade and preferred for detail work. While the Spey blade is commonly used as an all-purpose utility blade. It also offers extraordinary blade strength and corrosion resistance. 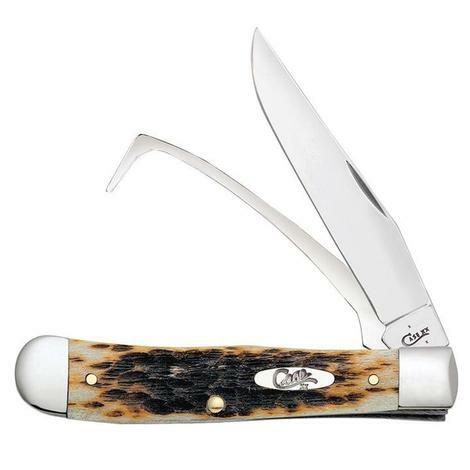 The Case Medium Bermuda Greenbone Knife has a comfortable, slightly smoother feel that comes from being carried for years in a front pocket. The Clip blade is commonly used as a multi-purpose blade and preferred for detail work. The Sheepfoot blade allows for added strength, making it great for carving and achieving a clean cut. The Spey blade is commonly used as an all-purpose utility blade. 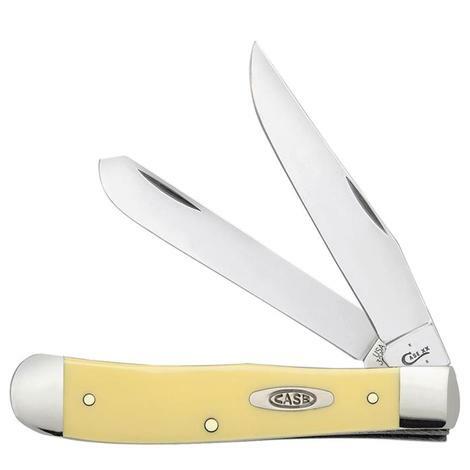 The Trapper is a jack knife with two full length blades; a slender Clip and a long Spey. The Clip blade is commonly used as a multi-purpose blade and preferred for detail work while the Spey blade is commonly used as an all-purpose utility blade. The Case Medium Stockman Chestnut Knife has three blades making it a convenient but very practical pocket knife. The Clip blade is commonly used as a multi-purpose blade and preferred for detail work. The Sheepfoot blade allows for added strength at the point making it great for carving and achieving a clean cut. The Pen blade is great for light work. 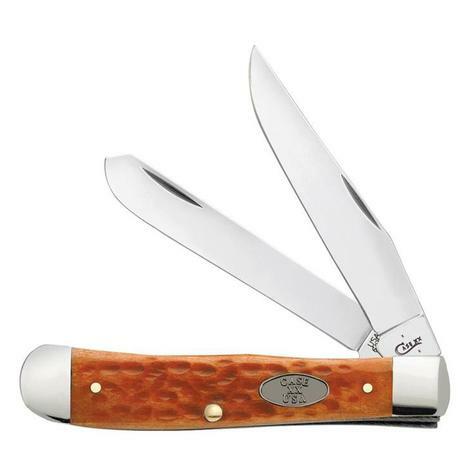 The Case Redbone Trapper Knife is known for its basic trapping and skinning blades. It is a must-have knife for those who trap small game. It has two full length blades; a slender Clip and a long Spey. The Clip blade is commonly used as a multi-purpose blade and preferred for detail work. While the Spey blade is commonly used as an all-purpose utility blade. This Case Russlock pattern features a liner lock mechanism, along with a gimped lever for one-hand opening. This knife is constructed with Case Tru-Sharp™ stainless steel. It also provides extraordinary blade strength and corrosion resistance. 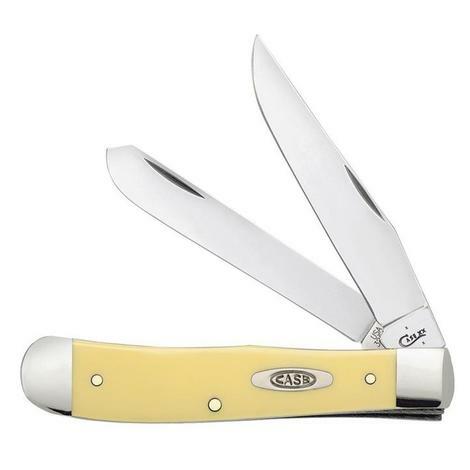 One of the most beloved in the Case line, this Trapper is part of the Yellow Synthetic family. The distinctive yellow handle adds brightness to this family while maintaining its toughness. The Chrome Vanadium blades are known for holding an edge longer and for the ease of re-sharpening. 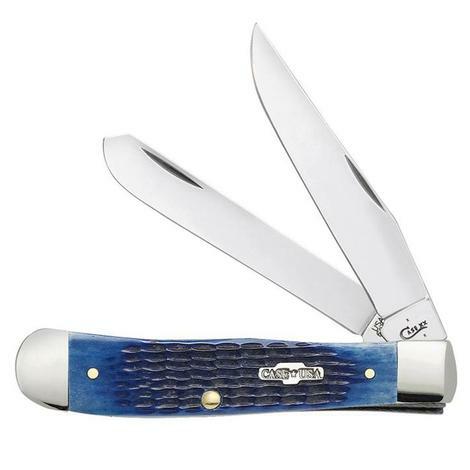 The Case Buster Folding Knife is a part of the Working Knives collection. 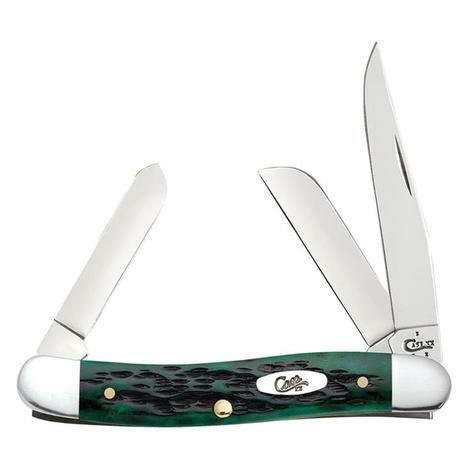 This blade is ideal for the hunter and outdoorsman. The curved shape of the blade allows for a more aggressive cut. 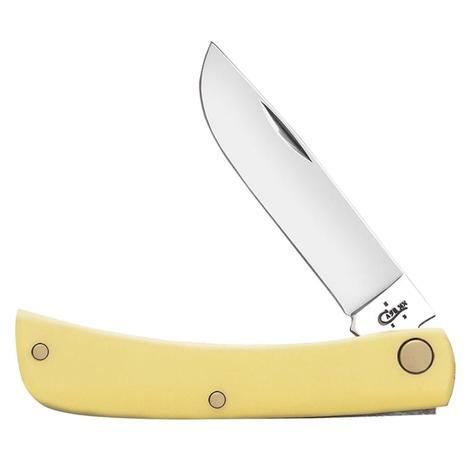 The Case Sod Buster is another member of the Yellow Synthetic family with the distinctive yellow handle that brightens this knife line without losing its grit. This knife is equipped with a full length skinner blade and ensures a secure grip with a curved handle. Use this for your skinning purposes or one of your many other everyday needs. 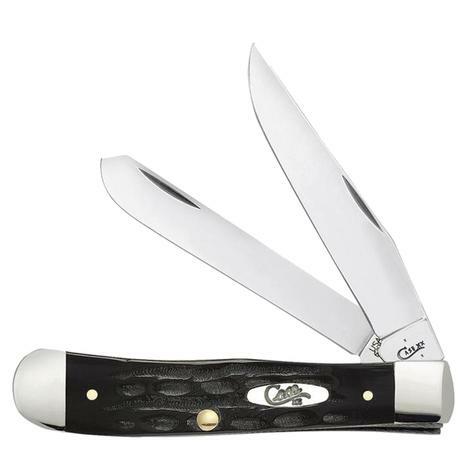 The Case Trapper folding knife was designed with two, full length, trapping and skinning blades and is a must-have for the small game hunter. The blades are made with specialized stainless steel known for keeping an edge sharper, longer. This knife posesses multi-purpose functionality and is a great addition to any knife collection. 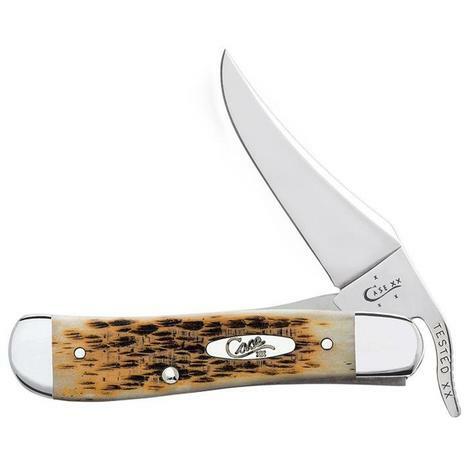 This Case Equestrian knife was designed for those who love and take care of horses. The Clip blade and hoof pick make this knife a great tool for both horses and riders. The pick is a great tool for those caring for horses. It is specially designed to clean the area of a horse’s hoof from any rocks or debris and dirt.